Boracay is a small island of the Philippines located approximately 315 km (196 mi) south of Manila and 2 km off the northwest tip of Panay Island in the Western Visayas region of the Philippines. 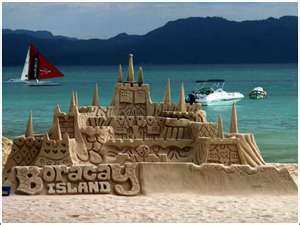 Boracay Island and its beaches have received awards for their world-class attractiveness to visitors. If you love scuba diving, there’s quite a number of establishment that will offer diving courses. You don’t have to worry about diving equipment for they will provide it for you. If you want to do something that does not harm the environment at all, you can rent a sailboat. As you want to go scuba diving, golfing, swimming or do any other holiday Boracay activities, there’s always your little personal part of what you can do to keep the place a “paradise island”. 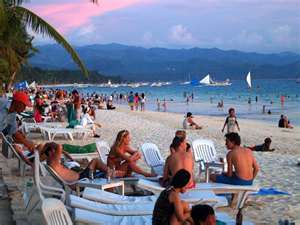 On Boracay Island the booking of hotels works just like anywhere else. Of course you can “shop around” and book your hotel right on the spot. You will find a fair amount of Budget hotels a little off the “beaten trail”. Hotels that are reasonably priced, are clean and have an aircon or ventilator, reasonable middle class hotels and of course – luxury first class hotels.